We’re here to answer any questions you may have about our Healthcare clinic. Not everyone knows about the benefits of hands on therapy like physiotherapy or soft tissue therapy nor how our performance nutrition or bespoke custom orthotics can help which is why we have put together some FAQs and categorised them for ease. If you are unable to see a question you wish answering on this page then please do not hesitate to contact us. We are always happy to answer your queries no matter how silly you may think they are! 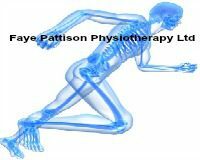 Why choose Faye Pattison Physiotherapy Ltd? Our patients tell us that they choose Faye Pattison Physiotherapy Ltd as it’s such a unique, warm, friendly and professional atmosphere where they can relax and feel welcome 100% of the time. Faye Pattison Physiotherapy Ltd is highly recommended by many leading consultants in the area of various specialities, we are their number 1 choice for the continuation of care for their patients to either help get the patient back to full activities of life after an operation/ trauma or for a second opinion for the conservative approach to try and prevent surgery. The consultants even come in for treatment too! The patient knows that they are being treated by some of the best therapists in the area with years of knowledge and experience for the best approach in meeting their needs. We are a passionate team of professionals, all our physiotherapists are members of the Chartered Society of Physiotherapy (CSP) and members of the Health and Care Professions Council (HCPC), our soft tissue therapists are governed by the leading body, the ISRM and are nutritionist are focused on optimal performance registered with the SENr so not your run of the mill nutritionist or dietitian. From our reception team to our therapists, we always put the patients’ needs first. Please see the following link for patient testimonials. Of course! You are more than welcome to bring whoever you want during your treatment. We have an additional seat in the treatment rooms and a waiting area with sofas where you can relax and enjoy a complimentary cup or two of tea or coffee and help yourself to biscuits! Parking is available, we have 3 spaces at the front of our building however if this becomes full there are side roads less than a minute walk from the clinic where there are no restrictions on parking (please check upon arrival as restrictions may change). Our cancellation policy is 24 hours prior to your session. A cancellation fee will be charged if you do not attend an appointment without giving us the required notice. Please note insurance companies do not cover this therefore you, the patient will be liable for any fees.